Due to the higher level of learning, when it comes to teens the STEM toys that are suitable start to become seriously exciting. 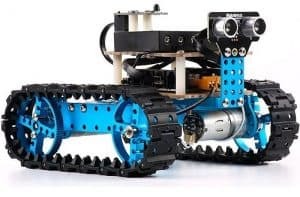 There are some excellent teens robotics kits that are great for learning engineering concepts and developing coding skills. Others include science sets perfect for complementing the school curriculum, as well affordable 3D printers for inspiring creativity. Considering that the teen years are also when kids are expected to begin working out where they want to head in life, getting a taster with some of these sets can help kids figure out exactly what kind of career they are interested in. It’s also a great way of developing STEM skills in teens that will prepare them for the demands of the 21st century, so read on for our recommendations! Our handpicked list of the top 10 educational toys this year. 3D printers have the potential to revolutionize the way we live our lives. Imagine being able to simply download designs and print everyday household goods on demand from the comfort of your own home! Unfortunately, up until relatively recently a lot of commercially available 3D printers had high barriers to entry due to the price, software and general usability. However, in the past couple of years we have seen a wave of budget, decent quality printers hit the market. So we’ve decided to include them as one of our best STEM toys for teens in 2018 for developing 3D design and creativity skills. 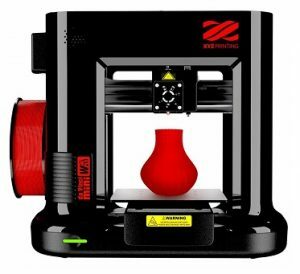 XYZprinting are one such company who offer range entry-level 3D printers that require little setup. The da Vinci Mini is one of their relatively new machines, which still provides printing resolution of 100-400 microns despite being an entry-level printer. If you are new to the concepts, the resolution is an indicator of the level of detail in the models that the printer can produce. Lower generally is better, but it is not always as clear cut as this! You can find out more about printing resolution and what some of the other specs mean here. What’s great about the daVinci Mini is that everything about it is tailored for beginners. 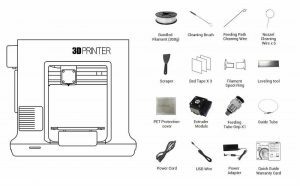 It’s essentially ready to go right out of the box with only some parts to clip together, it has an auto-calibration function to ensure the correct configurations, plus printing is simplified with a single ‘print’ button and you can send designs over WIFI. Additionally, the auto-feeding filament system and non-heated print tray make the daVinci Mini an even safer buy for first timers. What’s more, the free XYZmaker software is easy to use and there are also online step-by-step tutorials if you get stuck, as well as live tech support. You can use the software’s model library and range of tools to create 3D designs. Furthermore, the XYZprinting Gallery features thousands of free 3D models available for download ranging from tools to toys to smartphone accessories! It’s great for creative exploration, which is why we recommend it as one of the best educational kits for teens – or rather STEAM as it includes the art element. One of the potential downsides of these printers is that they are only compatible with XYZ’s printing filament. Whilst this is certainly annoying, the XYZ filament used with the daVinci Mini is starch based and non-toxic, so safer for printing in the home. If you would like the freedom to buy any filament, the popular Monoprice Mini Delta is a great value alternative. It also has a pretty small max print size, but for the price this is to be expected! All in all it is a great value option. Best for Learning: Coding, Robotics, Engineering. 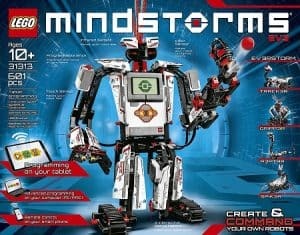 Second on our list of the best educational toys for teens is the awesome Mindstorms EV3 set from Lego. This kit gives you the power to bring your Lego creations to life in a new way. First your teen can build their own robots using the 550 Lego Technic elements and interactive guides from Lego. Next they can download the EV3 App and begin programming them with a simple drag-and-drop icon interface. When ready, or if they already have some coding skills, your teen can download the advanced EV3 Software for PC/Mac and begin more complex programming. As Mindstorms can be programmed with widely used industry programming languages, kids can actually develop useful skills. Hence why we also recommend Mindstorms as one of the best coding toys for teenagers! There are 5 build guides from Lego available, as well as a further 12 robot guides developed by the Mindstorms Community. All of which are available for free on the website. However, there is a lot of scope to create your own machines, contraptions and robots. Best for Learning: Coding & Robotics. Cozmo is a revolutionary robotics kit from Anki which teaches teens coding and programming. Packed with high spec hardware including a 30 fps VGA camera with state of the art facial recognition software, high resolution facial display, powerful CPU and 4 motors with over 50 gears, it’s so much more than just a toy! All this computing power enables Cozmo to recognize you (and your dog), learn from experiences and evolve a unique personality the more you hang out. It really is like having your own little robot friend! Download the app and begin playing games with Cozmo, unlocking new skills, modes and more. This is where this little robots 100s of emotions really shine. If he wins he gets happy, loses and he gets grumpy. If you ignore him he gets frustrated, if he’s bored he will get curious and explore… you get the picture. What’s more, Anki regularly release new updates to keep things fresh, which include new games and features. For example, a recent update gave Cozmo the ability to recognize dogs! It’s innovations like this which give us cause to recommend this set one of the best STEM toys for teens. And we haven’t even got to the best bit! With the Cozmo Software Development Kit (SDK) Anki give you the power to create your own custom software. There are many example scripts to get you started, which include teaching Cozmo to sing a scale, patrol for intruders and turning him into an alarm clock! With access to higher level functions including the vision, behavior and animation systems, as well as the ability to connect to third party APIs like Twitter, Hue and IFTTT there are so many possibilities. Think programming Cozmo to integrate with your smart home! Furthermore, the SDK uses the widely used programming language Python, so kids can develop valuable skills with Cozmo. Find out more in our full article on STEM toys for coding & programming. However, clearly Anki got the impression that limiting the development of custom software for Cozmo to text-based coding languages was restrictive of some entry-level users. As recently they also released a visual drag-and-drop software development platform called Code Lab. This hugely simplifies writing of programs for Cozmo and provides a good introduction for beginners. So if you felt the SDK was still a bit complicated for your teen, there is multiple options available. The fact that writing your own software for Cozmo is accessible to those of all levels, whilst still offering more advanced options, makes this a great coding kit for teens of all levels. Best for Learning: Engineering, Robotics, Coding, Electronics. 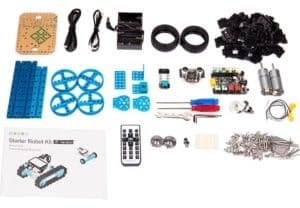 If you’re looking for a lower cost teens robotic kit, the Makeblock DIY Starter Kit is a great place to start. Similar to the above two, these sets are all about building and programming your own robots. The programming aspect features Makeblock’s own icon based, drag-and-drop software called mBlock based off of Scratch 2.0. There is also a forum where you can post questions if you get stuck! This can provide great introduction to programming and robotics for teens. However, if your kid has come experience the mBlock software has an awesome feature that allows you to toggle between the python text editor and graphical interface with one click! This is such an awesome feature as it helps kids bridge the gap between graphical programming and text based programming through revealing the exact code behind each block. Part of the building process involves assembling electrical components, which differs from sets like Mindstorms where all these parts come pre-assembled. However, the process is made easy with color coded wires, as well as clip in styled wiring that does not require soldering. This is great for developing basic electrical engineering skills and understanding of electrical components. The set comes with build instructions for 2 robots, however there are lots of cool expansions including a robotic arm, light & motion sensors and an LED light board for creating your own facial expressions, animations and emotions! The components are all decent quality too with a solid aluminium structure. As with other sets, Makeblock are designed for tinkering and exploring your imagination. This trait is why we picked Makeblock as one of the best STEM toys for teens this year. Aside from that, they are awesome fun and tons of kits in the range if your teen gets on well with them! Best for Learning: Microscopy, Microbiology. Recommended Age: 9 – 18 years. Microscopes are one of the best STEM toys for teens for inspiring kids to get into science as they expose the world around them. Otherwise uninspiring things like skin, hair and plants can become something new and exciting, which promotes a natural curiosity in science. You may see cheaper scopes with higher magnification, but low quality parts result in low image quality, which can be disappointing for kids. Conversely, the My First Lab Duo-Scope features lab-grade parts with glass optics that can produce clear, high resolution images. 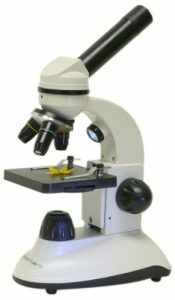 This microscope is great value and we think it’s one of the best science toys for teens out there. The set comes with a 50 piece accessory kit including a petri dish, pipette, forceps, non-toxic stains and blank slides. As such, it is also a great way for kids to get to grips with basic scientific equipment. What’s more, it also includes four prepared slides to get things started, as well as many suggestions for further observations. These include observing live microorganisms from pond water, how to stain specimens, how to grow and observe mold, comparing insect wings and observing onion cell mitosis. As it’s a duo-scope it also has the options to illuminate objects from above, as well as from below with an LED light. This is a great all-rounder and can provide a perfect introduction to microscopy. Plus the included activities are perfect for getting kids started and complementing the school curriculum. Best for Learning: Design, Engineering. Born out of a Kickstarter campaign, Arckit is an innovative new set for designing and constructing your own miniature buildings, structures, landscapes and even cities! The parts are all modular and snap together, meaning they are reusable and allowing kids to experiment with countless designs. Additionally, there are lots of different sets available with those in the same range all compatible. 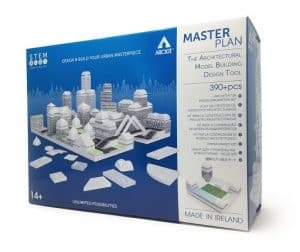 Arckit Masterplan is one of the most inspiring in the range. The massive set features 390 pieces and allows you to design your own miniature cities complete with high rises and overpasses! Eight A5 printed vinyl sheets can be added to the designs to give them texture and a more life like appearance. It also includes an introductory booklet, as well as lots of interactive videos and guides on the Arckit YouTube channel. Developed by architects, this is so much more than a toy. 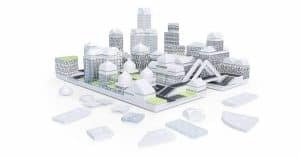 Arckit is of a professional quality and great for learning how urban planning, construction and design are carried out by real architects in industry. This is a really unique kit and one of the best building sets for teens we have encountered, but we aren’t the only ones! The company have received many toy awards and featured in several top news outlets, including Forbes and Wired. A lot of research has gone into compiling and writing the reviews in this article, so we hope you now have a more informed choice on what’s out there. 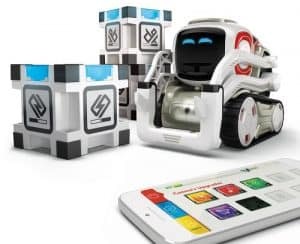 If you felt the toys featured here were still a bit to basic for your kid, check out our article the coding and robotics toys for adults. Otherwise, happy learning!